Around 2001, Universal Studios started releasing really old Tv Shows on DVD under the branding of Universal Playback, but none of the episodes were in any form of real organised running order. Older shows often suffered from music re-licensing issues and age certification issues. This in turn clearly prevented them marketing a whole season (for kids) due to age ratings on some episodes and also made it not a very tangible investment to re-license assets and release it for adults due to its apparent limited fan base. 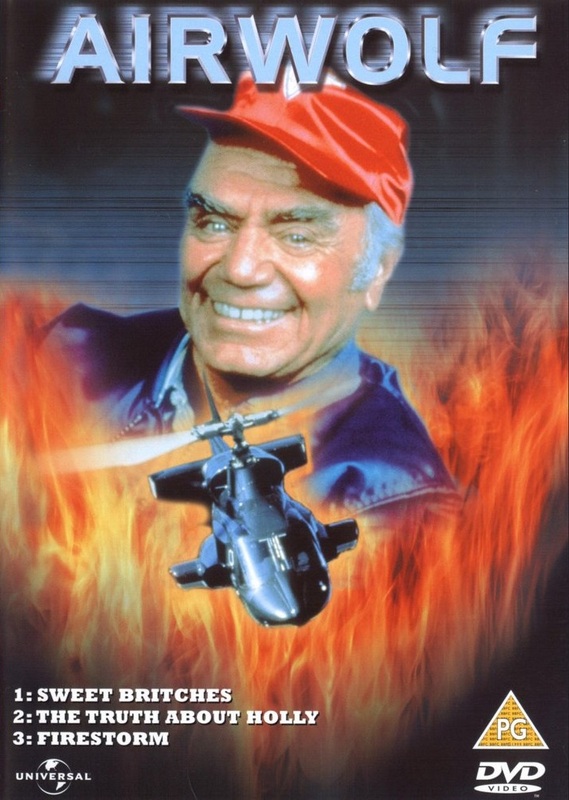 So they released this single region 2 dvd with three episodes on, making airwolf finally land on UK shop shelves such as woolworths and HMV as a DVD. all three taken from Season Two. You'll notice Volume One doesn't actually state anything about a Volume Number. 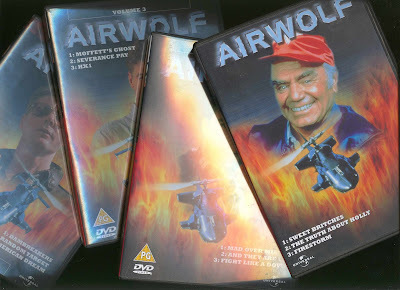 Chances are they had no plans to release any other episodes and this first Airwolf retail dvd in 2001 would have been the only Airwolf release to accompany the A-Team disk and a few others shows Playback released randomly selected episodes from. 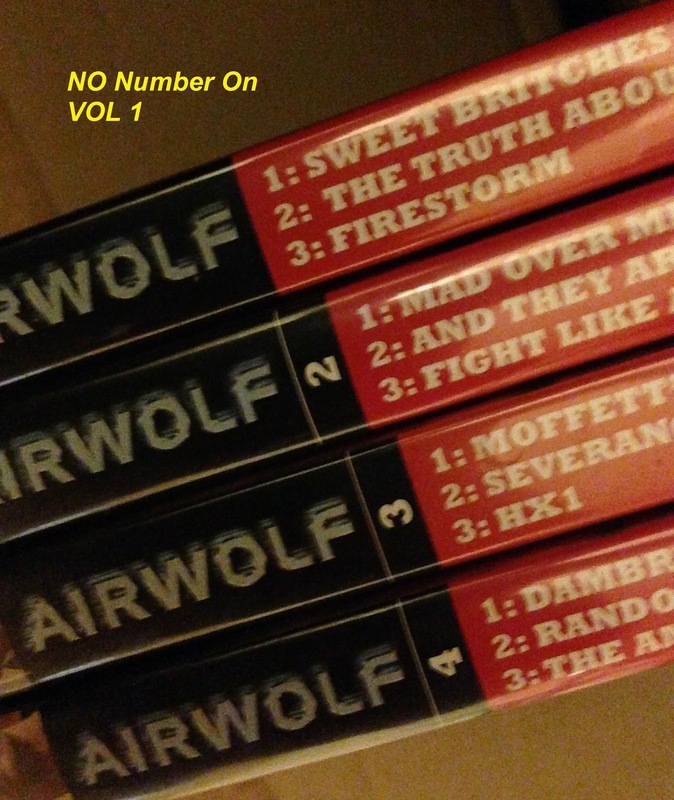 You will however find Moffets Ghost on Volume 3 which is still only a CERT PG release. It probably later got approved after some department bickering that its a good episode to prompt consumers to buy vol 3 and they maybe got them re-reviewed to lower the episodes age certifications. Or they sadly held it back to pad out a later release knowing its a wanted episode. We would assume that back in 1984, moffets ghost was at the very least a CERT 12 due to the nightmare flash back scene and we would guess that is why it wasn't on volume one. Volume 3 actually has 3 episodes that i would assume are at the very least CERT 12 due to key scenes, in-fact I would personally assume that Severance Pay could even have been a CERT 15 age rating. I will no doubt detail why i assume all this CERT stuff if I do a blog post for Volume Three. That said i am surprised Firestorm and The Truth About Holly got a PG certification. So volume one came with the 3 episodes with an animated menu and a single A5 inlay card featuring the episode information. "dvd menu images to be added"
After the 2001 release they were later re-issued and more copies of the four dvd's got produced in 2005.